Baby, it is cold outside! So it is mid November and as much as I adore the Winter I do find November a tricky month when it comes to home fragrances. I know, I know the struggle is real son but hear me out. Autumn has passed and the countdown to Christmas is still a little while away - pine scents always seem out of place until the tree has been decorated and yet I want something festive. What's a gal to do? 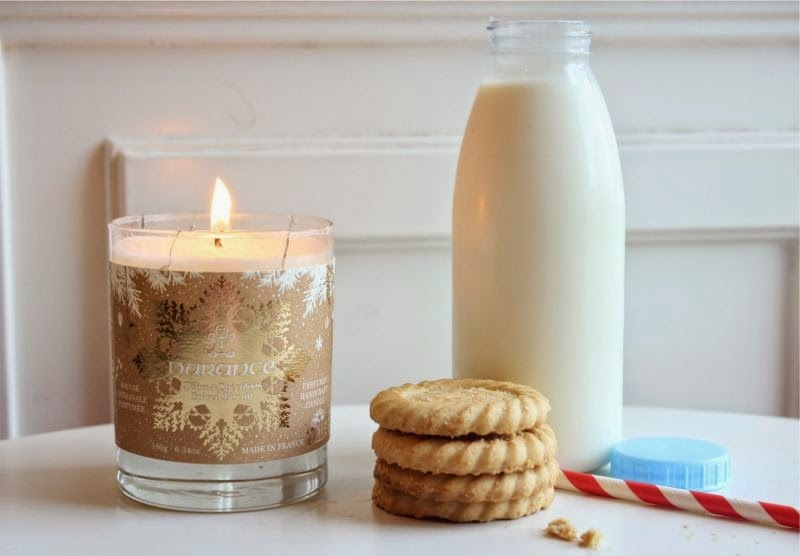 Try out the Durance Spiced Biscuit Hand Crafted Candle that's what! Durance Spiced Biscuit Hand Crafted Candle is festive yet not overwhelmingly so, it is a blend of vanilla, brown sugar and a hint of spice. In my opinion it is very homely and reminds me of the run up to Christmas when the kitchen is in full use baking scrumptious festive treats, The vanilla and warm sugar create an almost cupcake like aroma where as the hint of spice prevents the overall scent from being too sweet. If like myself you dislike strong spice notes but don't like anything too sickly sweet this is for you. Oh and adding to the allure and general chicness of this candle is the fact that it is hand poured in the Provence, France. It is warm, comforting and perfect for a cosy night at home - it may just have you craving a cookie and milk though...you have been warned! You can find the Durance Spiced Biscuit Hand Crafted Candle for £14.45 via Love Aroma - link. This sounds like it'll smell gorgeous! The scent sounds gorgeous! My favourite scent is Vanilla. The scent of this sounds incredible, I can imagine it without ever having smelt it!